On April 27th. 2017, Silicon Saxony and Cool Silicon are organizing a joint information evening in Dresden focussing on business cooperation with USA and Canada. It is part of the current "iCool" project managed by Cool Silicon e. V.
Background is the Business Connection Forum planned by Silicon Europe Worldwide (www.silicon-europe.eu) in Albany / USA in October 2017 as well as a joint cluster marketing trip organized by Cool Silicon and Germany Trade & Invest ( www.gtai.de ) from 23.10.2017 - 27.10.2017. The informational event is aimed in particular at companies planning to participate in one of the above-mentioned journeys and / or plan to establish business cooperation in one of the two countries. 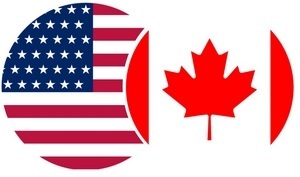 At the event, there will be information available on supporting services for market development as well as specific information such as regulations and framework conditions regarding the US and Canada. In addition, cluster members who have already gained experience in the respective markets will share their experience and knowledge. The event is free for Cool Silicon and Silicon Saxony members. Please register here.